Can rabbits live together? 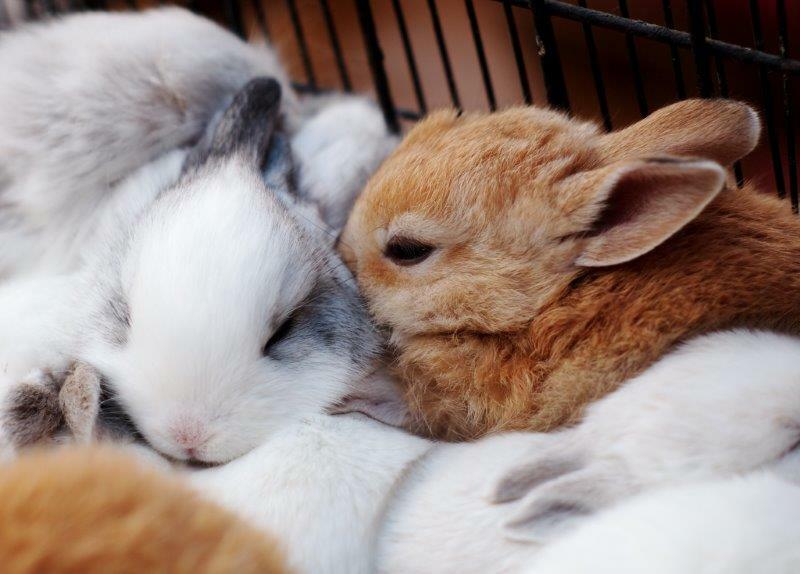 Yes, rabbits can definitely live together! In fact, bunnies absolutely love it why not see this in our collection of rabbit friends here? When we first got our cute little rabbit Daisy she would chew a lot of our things, and the house. For example one day we left the room for 5 minutes and came back to her chewing the plaster off of the wall! If only we had some rabbit chew toys. Rabbit feeding did not come naturally to me at all. When I later discovered that this is how everybody feels when they get their first cute bunny friend this made me feel a bit better (and hopefully it will you too). Rabbits just don’t come naturally to us humans. This is simply because, relatively speaking rabbits have not been domesticated for very long in our history. We find we naturally know how to feed cats and dogs - they are predators like us. But rabbit's diets often seem exotic to us, being prey animals.